With Chuck Leavell as our founder, irocku has exclusive access to some of the greatest songs in rock and roll history and this week’s keyboard lesson stands out as one of the most iconic songs ever put down on wax. Recorded in 1973 and released later that year on the Allman Brothers Band’s, “Brothers and Sisters”, album, “Jessica”, represents a song of instrumental mastery. How huge is this song? So huge that the Wall Street Journal called it “a national heirloom” in 2006 and twenty plus years after it was first recorded it received a Grammy for Best Instrumental Performance. 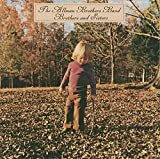 The Allman Brothers Band, was reeling from the death of slide-guitar master, Duane Allman in 1972 and the subsequent death of bassist, Berry Oakley a year later when they entered the studio to record the “Brothers and Sisters”, album in 1973. Enter keyboardist, Chuck Leavell who was brought on board as an additional soloist to complement the guitar playing of Dickey Betts, who wrote this rock instrumental masterpiece. The song opens with Les Dudek on acoustic guitar and is soon accented by Betts, Allman, and Leavell who give the song its trademark bounce and melodic sound. Betts launches into his solo nearly 4 minutes later only to return again to the song’s signature riff. Additionally, Lamar Williams who replaced Oakley on bass duels it out with Chuck Leavell who plays a scorching solo on the grand piano and gives the song a musical foundation that lends itself to an extended jam when played in the concert setting. “Jessica”, gives the listener a great sense of what it must be like to be in love. You can feel the heart swell as the notes of each solo climax into a blissful imagery of emotion and happiness, the true expressions of love unbridled in its exploration. The “Brothers and Sisters”, album reached #1 on the Billboard charts in 1973, and “Jessica”, along with another chart topper from the album, “Ramblin’ Man”, epitomize the reason why many consider the Allman Brothers Band, to be the best live rock band of all-time. So warm-up those fingers and pony-up to your piano for one of the best musical experiences you will ever have, once you master this song the rock and roll possibilities will become endless. “Jessica” uses both the A major pentatonic and the A blues scales. Master these and you will have all the tools needed to play one of the most famous piano leads in the history of rock. “Jessica” is on the list of top rock piano songs of all time and a song you must include on your playlist. Level 1 : Practice the C Major Scale.First Week: Beginners practice the Lesson. Intermediate and Advanced students practice the Groove Chart and the Lesson. Second Week: Add the Exercise and Improvisation to your practice. "Jessica" uses both the major pentatonic and the blues scales. Master these and you will have all the tools needed to play one of the most famous piano leads in rock history. Level 2: Practice the C Major Scale and also learn the C Pentatonic Scale.First Week: Beginners practice the Lesson. Intermediate and Advanced students practice the Groove Chart and the Lesson. Level 3: The quickest way to rock is by learning the Groove Chart! To help with improvising, practice the Bb Major Scale and learn the Bb Pentatonic Scale. Also learn the Bb major chord.First Week: Beginners practice the Lesson. Intermediate and Advanced students practice the Groove Chart and the Lesson. Level 4: The quickest way to rock is by learning the Groove Chart! To help with improvising, practice the Bb Major two-octave scale and the Bb Pentatonic Scale and learn the Bb Blues Scale. Also learn the Bb major chord, the Eb major chord, the Ab major chord and the F major chord.First Week: Beginners practice the Lesson. Intermediate and Advanced students practice the Groove Chart and the Lesson. Level 5: The quickest way to rock is by learning the Groove Chart! To help with improvising, practice the A Major two-octave scale and the A Pentatonic Scale and learn the A Blues Scale. Also learn the A major chord, the D major chord, the G major chord and the E major chord.First Week: Beginners practice the Lesson. Intermediate and Advanced students practice the Groove Chart and the Lesson. Levels 6 and 7: The quickest way to rock is by learning the Groove Chart! To help with improvising, practice the A Major three-octave scale and the A Pentatonic Scale and learn the A Blues Scale. Also learn the A major chord, the D major chord, the G major chord and the E major chord.First Week: Beginners practice the Lesson. Intermediate and Advanced students practice the Groove Chart and the Lesson. Why did you leave the last few bars of the solo out of the improv transcription (the ascending octave line)? Also, why not include a version with the actual left hand part (although it’s mostly triads), given that some folks will likely be playing this with a band? Thanks for the question. We ended the piano solo right before the band comes back in on the recording with the ascending octaves. To play the ascending octave line, run up the A pentatonic scale for two octaves. For the solo, we added the bass line to make the solo stand alone for students who don’t play with a band. This does make the solo more difficult than what Chuck is actually playing on the recording. To simplify the solo, you can alternate the left hand between the A major triad and the D major triad for each measure. If you learn the solo as we’ve transcribed it, you can simplify it accordingly depending on what other instruments you are playing with. What a beautiful version. Thank you for sharing. Keep rockin! I can’t find the piano solo. Where is it located? We include a portion of the solo in the Improvisation section for every level. You’ll find the complete solo that Chuck plays on the ‘Brothers and Sisters’ album at Improvisation > ‘Download Sheet Music” for level 7. Have fun with it!! Justin…man, great job on “Jessica”….are you trying to get my job??!! Seriously, congratulations and keep on radiatin’ the 88s….YOU ROCK!! Justin- this is awesome. Great job. That’s one of the most respected keyboard solos in rock and you’re shredding it. Keep at it and now it’s time to make the song your own. Lock in the left have groove ( always with a metronome!) and try improvising on your own using the A and D chords and A pentatonic and A blues scales. Great job, Justin! Keep going and keep learning new songs! We love seeing and hearing your playing so be sure to post more videos as you learn more songs. You’re inspiring to watch and it’s great to have you as a member of the irocku family. I think the site and lessons are great here. The volume is low on the lessons and videos. My computer volume and the one on the site are up to the max, but still hard to hear. I would think/ hope this is fixable on your end. Thanks for letting us know. We’ll increase the volume on all our new recordings and look into increasing the volume on the older recordings also.